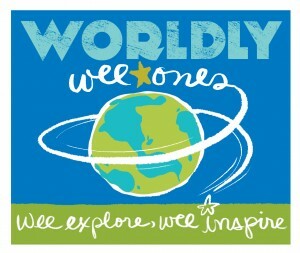 International Make Your Own Instrument Day, a global celebration of music, culture, and creative joy: JUNE 21st. 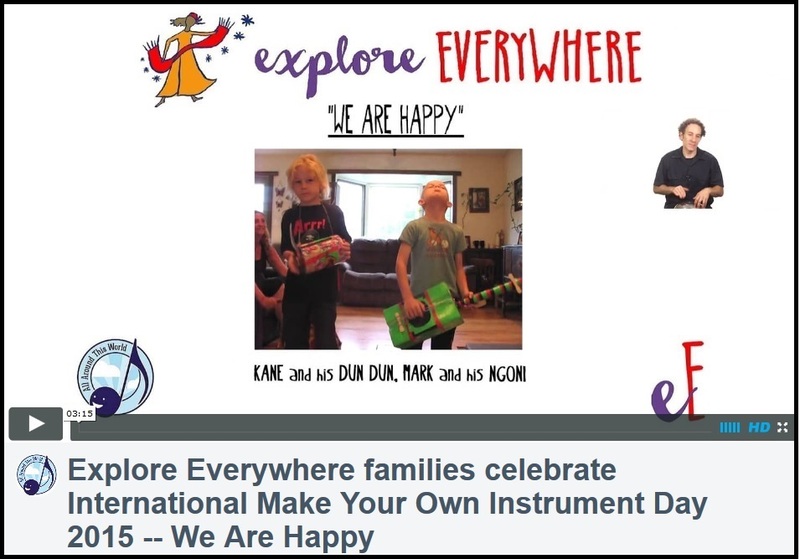 International Make Your Own Instrument Day is a modern musical holiday for everyone–cross-cultural, participatory, inventively fun. To celebrate this holiday you will MAKE YOUR OWN INSTRUMENT in any way, shape or form, and enjoy playing it tremendously. 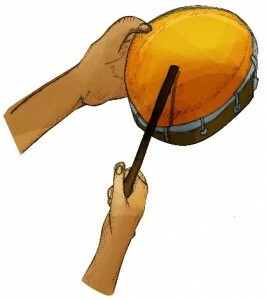 The instrument can be a simulated “real” instrument–a drum made from a storage bin, a guitar-like broomstick using rubber band strings–or you can create something entirely new. You may play your instrument by yourself in your living room or in an arena with thousands of other friends who have also made their own instruments. You may have just a little fun, but you will probably have a lot. Look below for answers to all your MAKE YOUR OWN INSTRUMENT DAY questions. 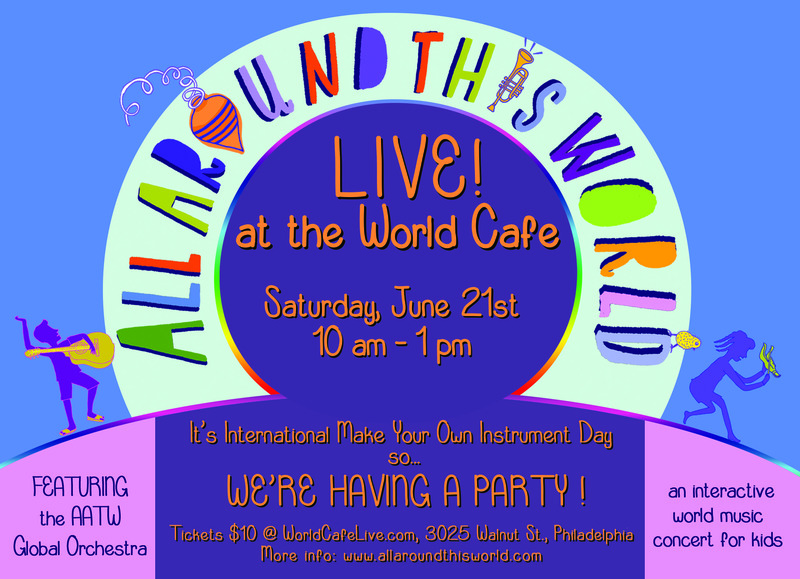 This was an unprecedented, family-friendly but NOT JUST FOR KIDS event at World Cafe Live in Philadelphia, 10am to 1pm, to celebrate International Make Your Own Instrument Day with hands-on instrument-making and the debut of the All Around This World Global Orchestra, a 10 piece electric band that performed songs from AATW’s Latin America, Africa, South and Central Asia and Caribbean seasons. The event featured very special guest, DARIA, who led the instrument-building based on her awesome global instrument-making guides. 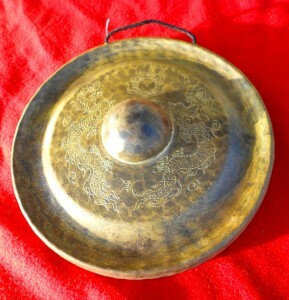 With Daria’s guidance we made Egyptian sistrums, Chinese Gongs and African-style tongue rattles. grown-ups!) 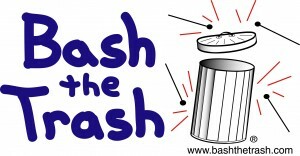 or just like the idea of people recycling something, banging on it and calling it a drum? You could support this holiday! “Supporting” means you send All Around This World a message to tell Jay and the crowd about your project. If your project sounds like a good fit, we’ll put your logo or banner on this page and list your project in all promotional materials. In exchange, we’ll ask you to tell your followers about the holiday. — What is International Make Your Own Instrument Day? — When is International Make Your Own Instrument Day? — “Why” is International Make Your Own Instrument Day? 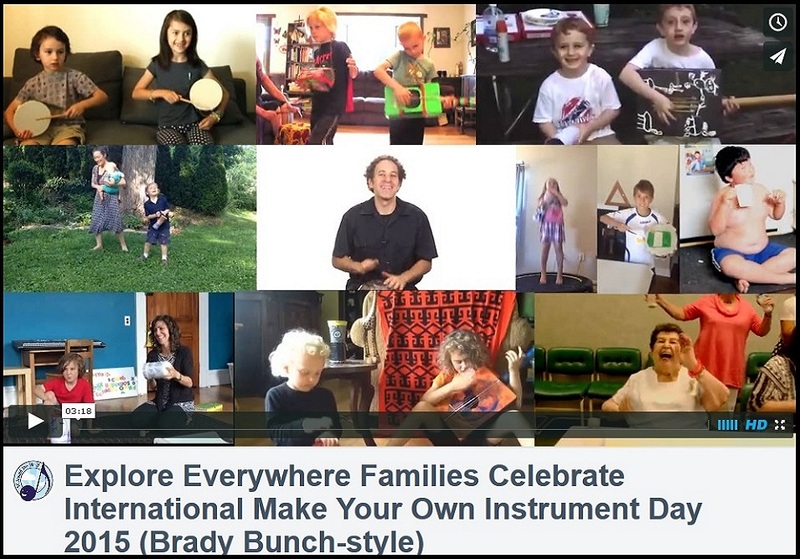 — How does one celebrate International Make Your Own Instrument Day? — Do your homemade instruments have to simulate manufactured instruments? Does your make-your-own guitar have to sound anything like a manufactured guitar? — Can you celebrate International Make Your Own Instrument Day by inventing your own instruments, perhaps instruments no one have ever conceived before in the whole history of humanity? — Do you have to be a kid to participate in International Make Your Own Instrument Day? 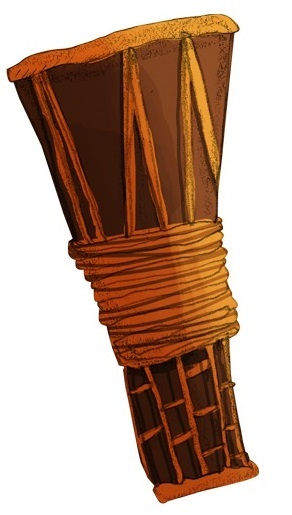 — Whose brain stormed and thundered out International Make Your Own Instrument Day? 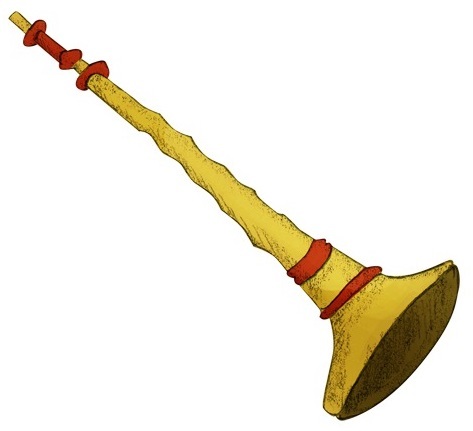 When is International Make Your Own Instrument Day? The official holiday will take place on JUNE 21st every year–the summer solstice, the longest day of the year. Though shouldn’t every day be make your own instrument day? “Why” is International Make Your Own Instrument Day? You have nothing at all against manufactured instruments, but the time has come to break free. Liberate yourself! Let’s use everything around us to make music. How does one celebrate International Make Your Own Instrument Day? Step 1–make your own instrument. Step 2–celebrate! 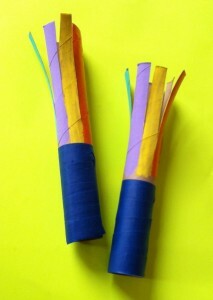 — bring an armful of little cardboard mailing tubes you found in your attic into your kids’ elementary school classroom or summer camp, tie them together with string and make Andean flutes. 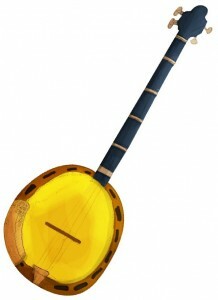 — plan an instrument-making party with your children and their all their cousins. Ask everyone to bring a bucket, paint, and clothes that don’t mind being ruined. — you are so proud of the most beloved musical instrument of your nation, or your specific culture with that nation, or your specific community within that culture. You want to share that instrument with the rest of us, so you make one out of household objects and create a how-to video to teach the rest of us how. — drink way too much coffee one night and stay up til the wee hours of the morning with your mind racing designing blueprints for the most incredible instrument ever made. Build it in a gleeful rush that morning, take pictures of your new creation, post them on Facebook. Take a nap. 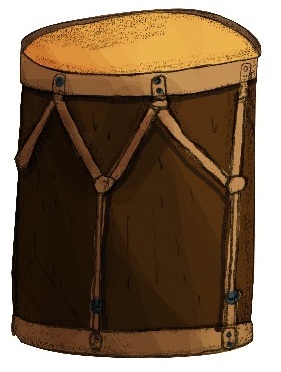 — ask yourself what your great-granddad’s favorite instrument would have been back in his village, back in “the Old World,” back in the day. Make your version of that instrument out of stuff you buy at the dollar store. — pick a country randomly on the map. Go to Wikipedia and learn about the music of that country. Pick what seems like it could be your favorite genre of music. Go to YouTube and search for bands playing in that genre. Pick your favorite band. Make your version of all the instruments being played in that band. Invite your friends over, play those instruments, and just be awesome. You should definitely celebrate this holiday in your home or community with friends and family, but if you want to document the fun and share it far and wide, we’ve heard of this thing called the Internet that lets you do that. Share your homemade instrument photos and videos with each other with the help of All Around This World, the unique global music and world cultures for children program for little kids, instigator of International Make Your Own Instrument Day, on Facebook (www.facebook.com/allaroundthisworld), on twitter (@AATWMusic), or by e-mailing them to “jay [ a t ] allaroundthisworld.com” for him to share at AllAroundThisWorld.com. If you need help getting your celebratory ideas flowing, All Around This World is working on a set of hands-on, step-by-step “how to make your own instrument” guides for kids that you and your children will be able to use to make your own drums, simulated stringed instruments, woodwinds, etc., and you’ll certainly be able to start there. Do your homemade instruments have to simulate manufactured instruments? Does your make-your-own guitar have to sound anything like a manufactured guitar? Not at all! There are absolutely no rules. 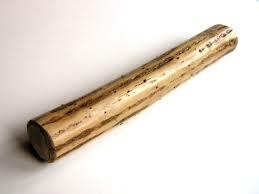 Can you celebrate International Make Your Own Instrument Day by inventing your own instruments, perhaps instruments no one have ever conceived before in the whole history of humanity? Do you have to be a kid to participate in International Make Your Own Instrument Day? Heck no! A kid at heart, yes, but there are no age restrictions whatsoever..
Whose brain stormed and thundered out International Make Your Own Instrument Day? 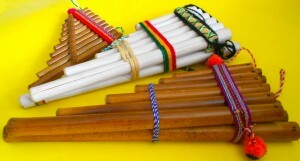 International Make Your Own Instrument Day may have originated as a notion of Jay Sand, founder and lead teacher of All Around This World (https://allaroundthisworld.com), but it now belongs to us all. This year’s International Make Your Own Instrument Day will be the first but we hope it won’t be the last. Contact Jay and he’ll make up answers.